Change your life forever, become a PADI Instructor! 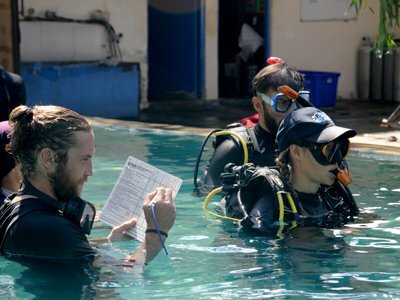 Taking your PADI Instructor Development Course is a major step toward changing your life forever. As a PADI Instructor you will be able to teach a huge range of PADI dive courses to all those potential divers and share your passion for scuba diving. We offer the full range of instructor-level and continuing-education courses. Join us in Bali and become a PADI Open Water Scuba Instructor! There are many places to do a PADI Instructor Internship, but what makes us stand out from the rest? 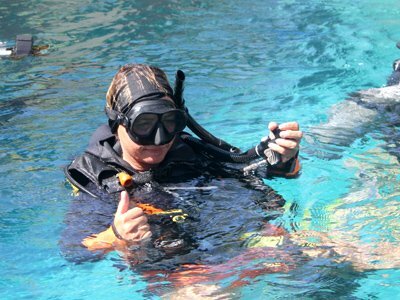 Full range of professional training – from Divemaster to Master Instructor. Living in Bali is something special in itself. While some prefer the industrial-style internships that are offered elsewhere, Blue Season Bali offers a much more personal approach. Full-time mentors. We have on-site Course Directors, Master Instructors and IDC Staff Instructors, every day. 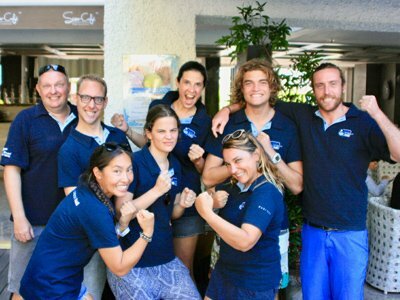 As well as a great team of full fledge dive instructors, some of them having decades of experience in Bali. We have added a useful comparison tool to help you look at the differences between these Instructor internships. This should help you determine what option is the right one for you. 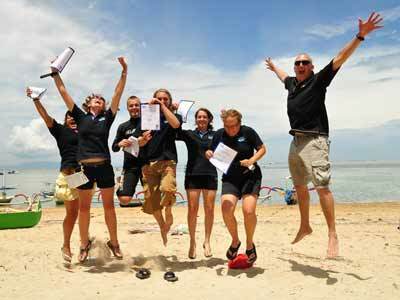 PADI Instructor Internships – What Are The Options? Our basic Instructor course - including the essentials. Our most popular IDC package. Everything you need for a great career start - IDC prep, EFRI, mock IE, workshops to help you succeed in the dive industry as well as an MSDT prep course to give you some Instructor Specialties. Everything included in the IDC 28 day package PLUS a month of Divemaster Experience before the IDC and a month of Instructor teaching experience after the IDC. This incredible package also includes a FREE set of equipment, IDC Materials, PADI Fees and more! 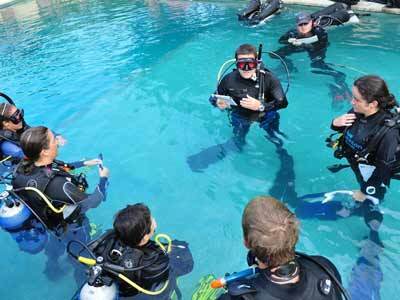 Sign up for this 2 month internship and gain valuable teaching experience alongside our team of PADI Instructors. This internship will allow you to gain up to 25 certifications, 5 Instructor Specialties and work towards your PADI MSDT rating. Sign up for the all inclusive 1 month IDC Staff Instructor Course in Bali and not only will you gain your Staff Instructor rating, but you will also receive one staffing credit for staffing an IDC. 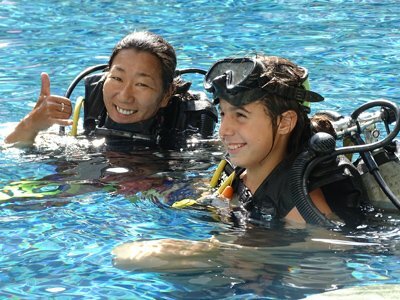 All of the PADI Materials, PADI fees as well as accommodation and airport transfers are included in this great package. This incredible 7 month Instructor Internship will take you all the way from a PADI Open Water Diver to a PADI Instructor. The Instructor Internship is 100% all inclusive and packed full of courses, workshops and unlimited diving - to make you one of the best scuba diving professional out there. 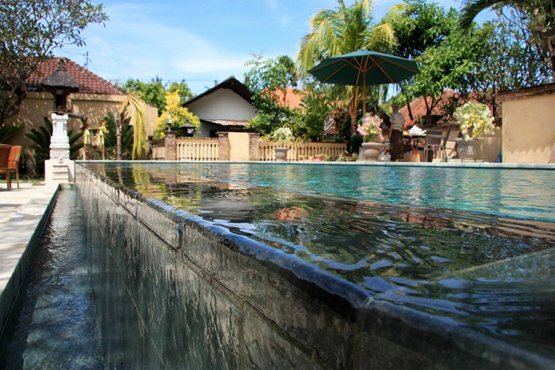 Everything at Blue Season Bali has been designed so that your PADI Instructor training is made easy! Our pool can accomodate several dive classes at the same time and is right next to our classroom. Nothing is easier than to step out of our big air-conditioned classroom after using our library or maybe studying your IDC theory, and then just jump in the pool for your IDC skills presentation. 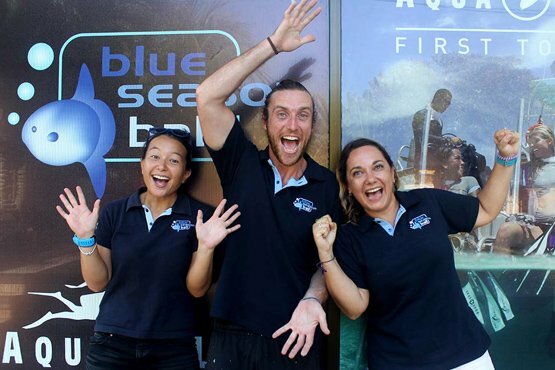 Blue Season Bali employs a full-time team that is solely dedicated to training PADI dive professionals. They are here to make sure you get all the attention and time that you need and of course to make your training fun! All our team members are experienced Course Directors, Master Instructors or IDC Staff instructors that have worked in the industry for years and have great experience when it comes to training the best dive professionals. You can have a chat with hundreds of dive pros around Bali and when you ask them why they stayed, a majority will start by saying "Because the diving is so good"! We have it all here: macro, gorgeous reefs, calm bays, serious drifts, manta rays and mola-molas, muck diving... You name it, it's likely we can do it in Bali! 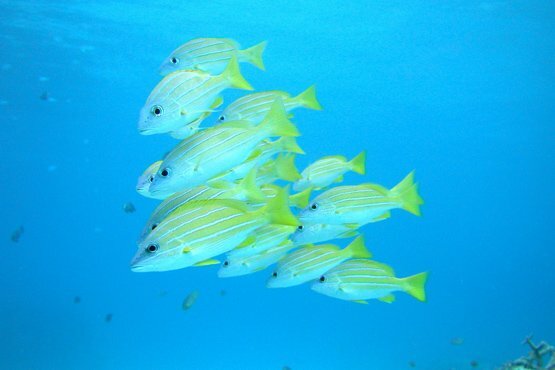 Check out some of our dive photos and when booking your Instructor course with us also measure the risks carefully….you might fall in love with Bali, the diving, the lifestyle and never leave!